ROUND REVIEW 1: Hungary, Romania, FYR Macedonia and Slovenia open EHF EURO 2018 Qualification campaigns with wins. After only five matches of EHF EURO 2018 Qualification Phase 1 there have already been some surprises. While Hungary, FYR Macedonia and Slovenia recorded the wins expected of them playing at home, the latter did not enjoy the comfortable ride to the final whistle they might have hoped for. 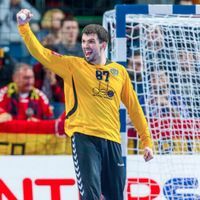 Two notable upsets occurred in Moscow and Minsk, as Slovakia managed a draw with Russia after the home team held a five-goal advantage late in the second half, and Romania, who began their EHF EURO 2018 Qualification in October 2014 in phase 1, defeated Belarus. Following a disappointing few years after they missed qualification for the IHF Men’s World Championship 2015 as well as even a chance to qualify for the 2016 Olympic Games when they finished sixth at the EHF EURO 2016, Hungary entered the court determined to start their campaign strong. Even with star right back Laszlo Nagy out with an injury, Hungary controlled the match in Nyiregyhaza from the outset. The hosts had little trouble creating a 7:3 lead in the first quarter of the game, while Latvia made costly errors in attack that enabled Hungary to hold a five-goal advantage at the break. By the time Gergely Harsanyi scored his sixth goal from six shots with just over 10 minutes remaining, Hungary held a decisive lead at 19:11. The hosts increased the difference to eight by the final whistle, and earned their first two points of the qualification phase with the win. Harsanyi finished as top scorer of the match with eight goals at 100 per cent. As Belarus made it to the main round of the EHF EURO 2016 and Romania are only chasing their first European championship qualification in 10 years, the hosts were the favourites ahead of this match. But under the leadership of new coach, FC Barcelona Lassa’s Xavi Pascual, Romania showed they should not be underestimated when they allowed Belarus to lead only in the first minute before taking the advantage. The visitors kept Belarus scoreless for 14 minutes as they created a 6:2 lead, before centre back Barys Pukhouski added his first of four goals to break the hosts’ drought. The deficit was already dangerous however, and Romania pulled further ahead to lead by five goals at 10:5 with six minutes left in the half. The home team decreased the score line to a more manageable three when 20-year-old Uladzislau Kulesh scored the last goal before the break, but Belarus were left to chase their opponents through the second period. The home side could not come closer than two goals in the second half, though they achieved that difference more than once only for Romania, led by six goals from Valentin Ghionea, to move ahead again and again. Two two-minute suspensions late in the game meant Belarus were numerically outnumbered, but they were still able to close the gap to two goals at 22:24 before Romania increased their lead once more to finish with the same three-goal lead they had created for half-time. Yet another team expected to record a strong win in their opening EHF EURO 2018 Qualification Phase 2 match received a mild shake-up from their visitors in the first half. A strong team effort with goals coming from various players on court enabled Ukraine to keep pace though the first 50 minutes, and the visitors even managed a narrow advantage early on before FYR Macedonia took a firm hold on the game. By midway through the first half the hosts were steadily in the lead, but they could only hold a one to two-goal margin until goals from Dejan Manaskov and Kiril Lazarov (12 goals total) took FYR Macedonia in front to 11:7 with 10 minutes left before the break. At half-time the home team held a three-goal advantage that would prove crucial in their eventual victory, as the difference stayed around three goals for most of the second period. It was only in the last 10 minutes that FYR Macedonia showed their real strength against Ukraine, turning a 22:19 lead in the 50th into a six-goal win that earned their first two points of the qualification phase. Though Slovenia were the favourites to open their EHF EURO 2018 campaign with a win on home ground, it took them more than 30 minutes to warm into the match and claim the expected lead. Not only did Switzerland take an early advantage, but as the first half progressed the visitors only continued to increase their hold on the match. After a level score of 6:6 in the 14th minute Switzerland created a two-goal edge at 9:7, then moved to a more dangerous advantage of 13:8 with just under five minutes left in the half. Slovenia finished the first period stronger than their guests, ensuring their task for the second half was more manageable as they decreased the difference to three. During the break coach Veselin Vujovic clearly found the right words to kick his side into gear, as Slovenia returned and finally took the lead at 23:22 as the last quarter of the match began. By the time the clock showed 53 minutes, the hosts were well in front with a five-goal cushion they maintained through to the buzzer. The vastly different EHF EURO track records between these teams seemed to indicate a win for Russia was on the cards, particularly as they played at home in Sport Palace Dynamo Krylatskoe in Moscow. While Russia have qualified for every EHF EURO since 1994 when the competition began, Slovakia have made it to the tournament just three times, ranking 16th on each occasion. But Slovakia presented a real challenge to the hosts of their round one qualification match, who must have been somewhat surprised to see a level score on the board at the end of both halves. Slovakia began the match in control, leading 7:6 at the 15-minute mark before Sergey Shelmenko claimed the advantage for Russia with his second goal in the 18th. Russia moved ahead to a four-goal lead that might have seemed comfortable to the home crowd, but Slovakia responded with a 4:0 run through the last five minutes of the first half to level the game once more. The second 30 minutes told a similar story, with Russia in front 25:20 with less than 12 minutes left on the clock before Slovakia rallied. With their visitors closing in Russia felt the pressure, and a direct red card for Shelmenko when they held an advantage of just 31:30 inside the last minute allowed Slovakia to equalise with a penalty scored by Oliver Rabek, who tallied his 10th goal with the successful throw. Russia and Slovakia therefore split the points from this encounter, each adding one on the table.